From CSI to NCIS, Broadchurch to The Fall, and Poirot to Midsomer Murders, there are too many crime/detective series to count. Do you think there are too many? Do they risk being too samey? 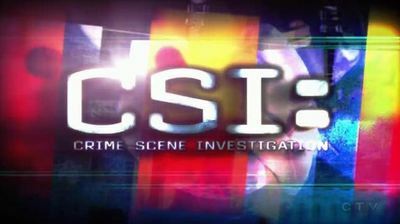 I think television is too saturated with crime dramas, particularly ones like CSI that have spin offs for various cities. There are only so many murder and crime stories you can tell before they star to sound the same. Nope - not too many, just not enough good ones. 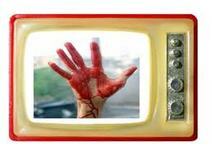 Far far too many Crime Shows. Dexter was something my 21 yr old son said, was real bad.Even he felt it was way too much! I think it also can lead to making me depressed,because I want to be entertained...Not shocked out of my poor brain. In some, nothing is too shocking, and that is not entertainment. There are too many for me to keep track of - unfortunately they all meld into one or two in my mind as I find it hard to differentiate between them. I agree with Lydia. Not too many, but not enough good ones. I've always liked Law & Order: SVU. I liked Law & Order: Criminal Intent, too, when Vincent D'Onofrio played Detective Robert Goran. My husband would thoroughly agree. He keeps asking why TV and novels are mainly about dreadful murders. I think he should watch Sound of Music on a loop. I also agree with Lydia, there are not too many crime drama, there are just not enough good ones. There is a formula to making a good crime show, and few shows seem to get it right. .............and we're not being saturated by those pathetic, brainless 'reality' shows' of EVERY description? Give me a Crime Drama anyday over them! But, I do wish they'd stop having those 'dysfunctional' kids' in them! Why the current 'craze' for that? The worst is the girl who plays 'Erin Reagan's' daughter in 'Blue Bloods'. She can't act, her hairstyle is just plain ugly, her voice is 'untrained'. She 'contributes' nothing to the show or any scene she's in. I wish her 'TV father' would take her to 'Frisco with him! I just FF on my VHS tape of show, when she's featured. Even 'Castle' has got his Mother & Daughter in it! Painful! At least the UK 'whodunnits' don't have this annoying aspect! 'Barnaby' has his grown-up daughter, & she's a good actress! Some series' are better produced than others', but that's 'normal'. I think the very first 'Crime' show I saw was '77 Sunset Strip', & I've loved them ever since! Have you seen WPC 56?